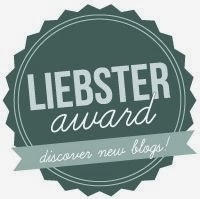 Hmmmm…a mystery – what could it be? 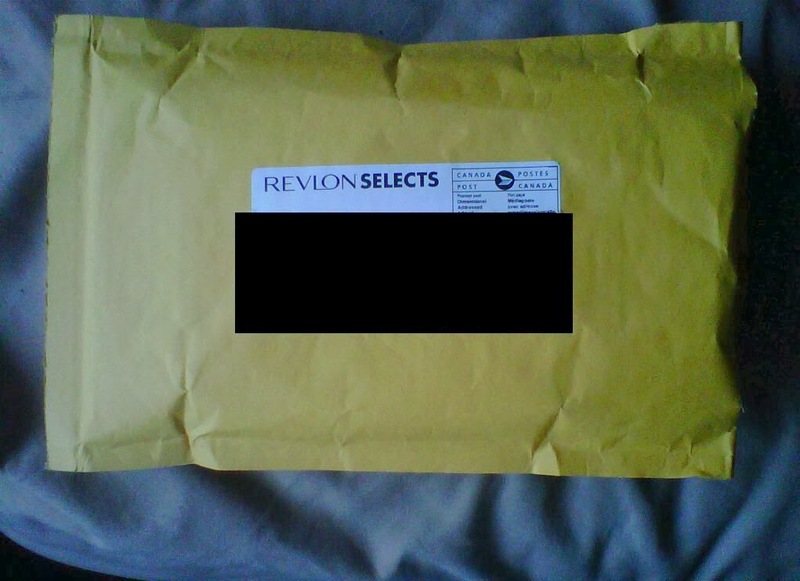 Revlon sent me some goodies as part of their “Revlon Selects” program. Stay tuned for the unveiling. 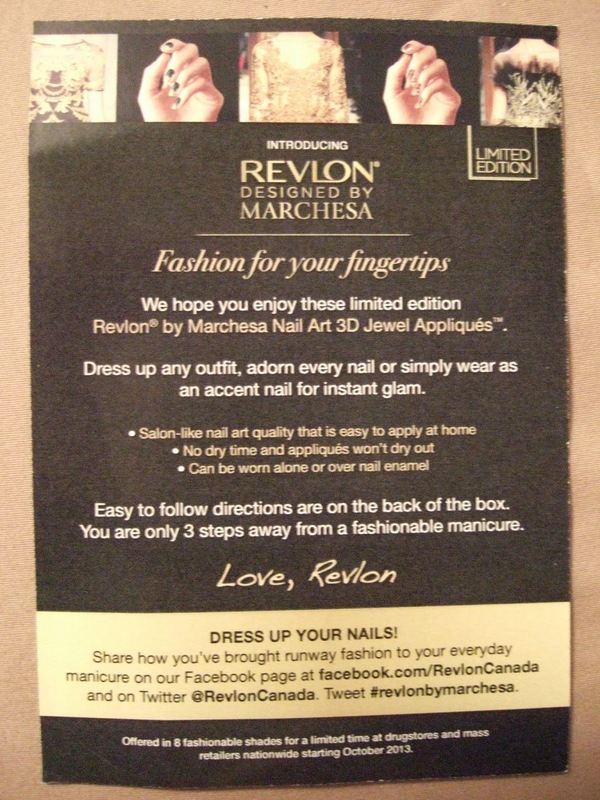 And if you are a Canadian “Revlon Selects” member, keep your eyes on your mailbox for a surprise. 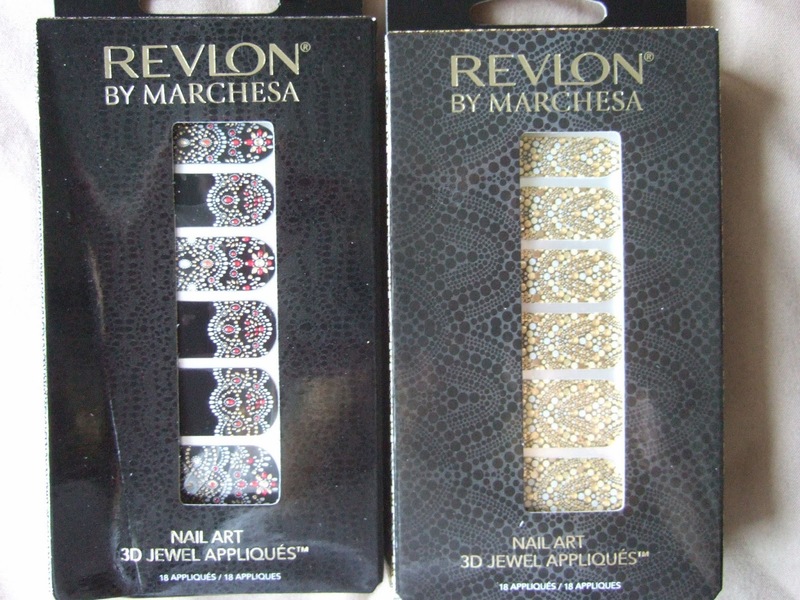 Revlon by Marchesa nail decals! Woo woo! 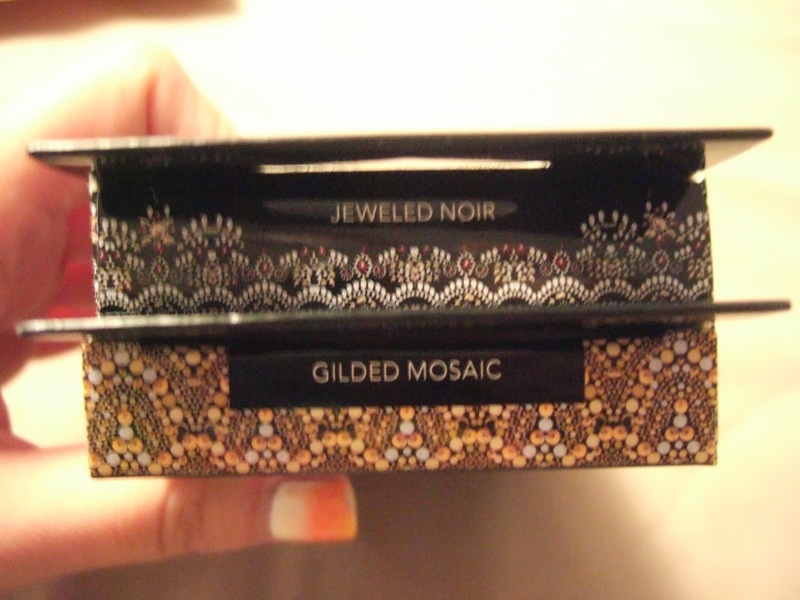 I got “Jeweled Noir”, and “Gilded Mosaic” to test out. I’m definitely a fan of these. 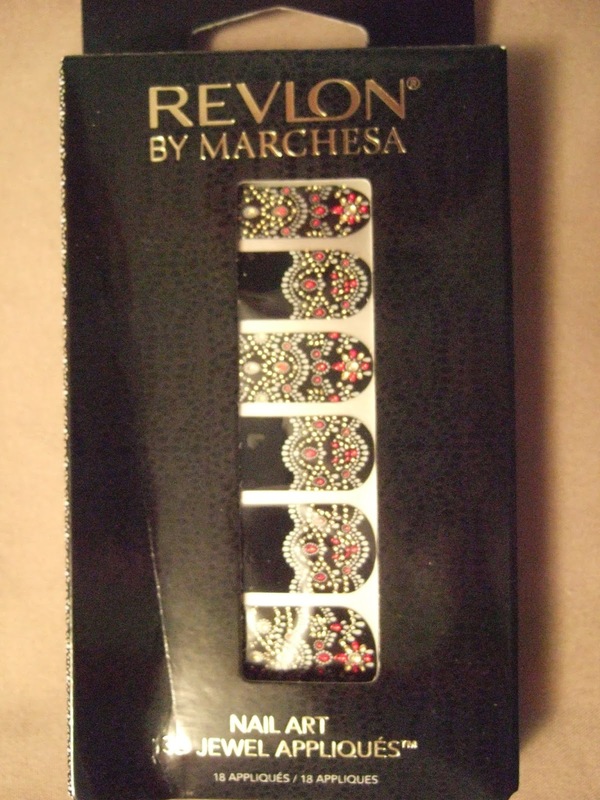 Unlike other brands of nail decals that I have tried, once the edges are filed down, after application, these ones have a smooth edge (clearly, I have been burned before, with other brands, and their jagged and pointy edges). My favourite part of these is definitely the design. Aren’t they gorgeous? Very regal, and classy. 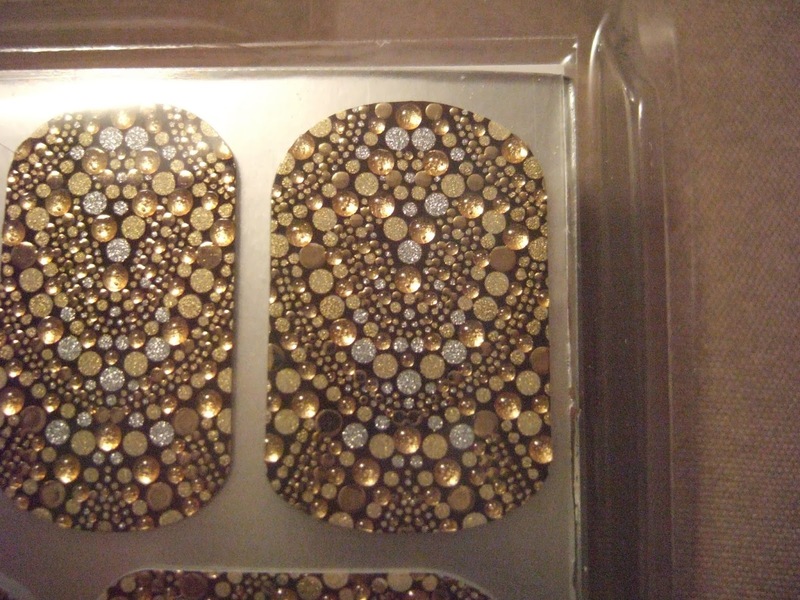 Fun fact: These also have little jewels placed on the pattern, so the design has a but of texture to it. 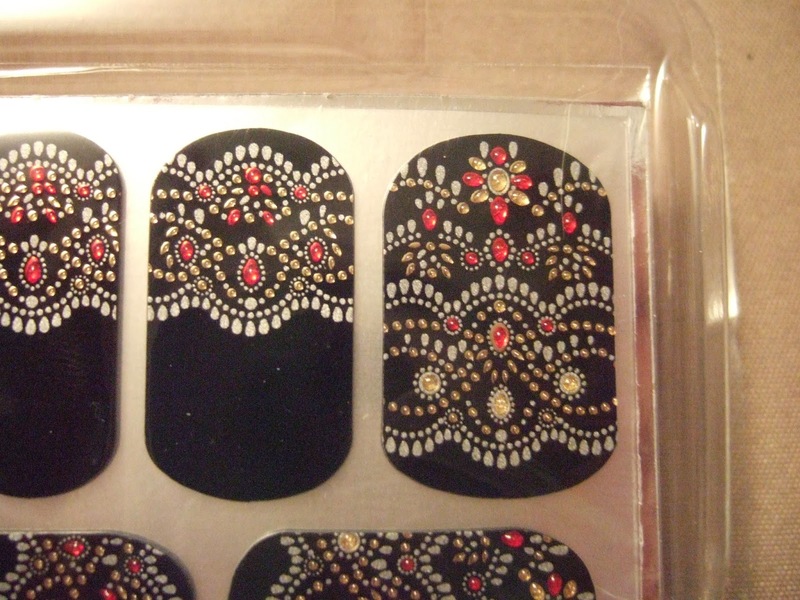 You can use these decals as an entire mani, or do what I did, and use it as an accent nail, and make your own design for the remaining nails. 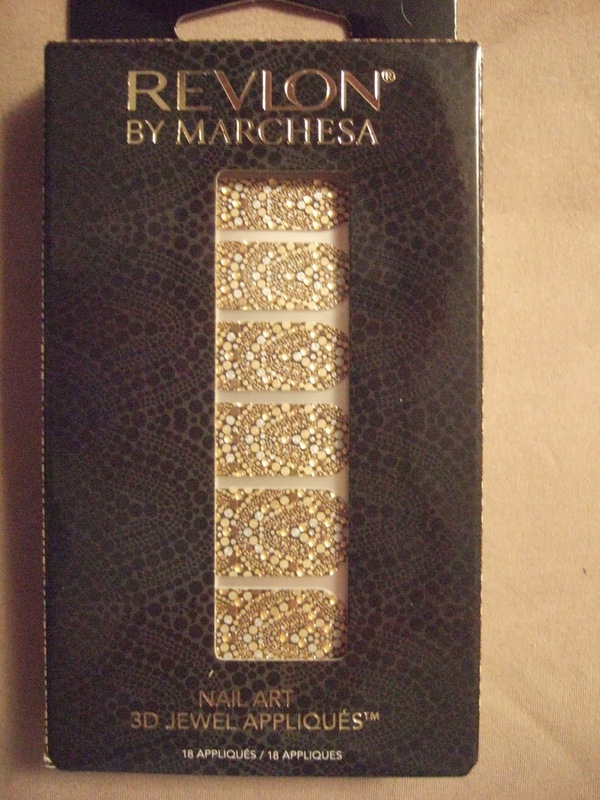 I used Revlon’s “Stiletto” for the base, and Revlon’s “Gold Coin”, applied with a dotting tool, for the dots. These are offered in 8 different designs, so there is a good chance that one of them will tickle your fancy. They are available for a limited time, starting October 2013 at drugstores and mass retailers. 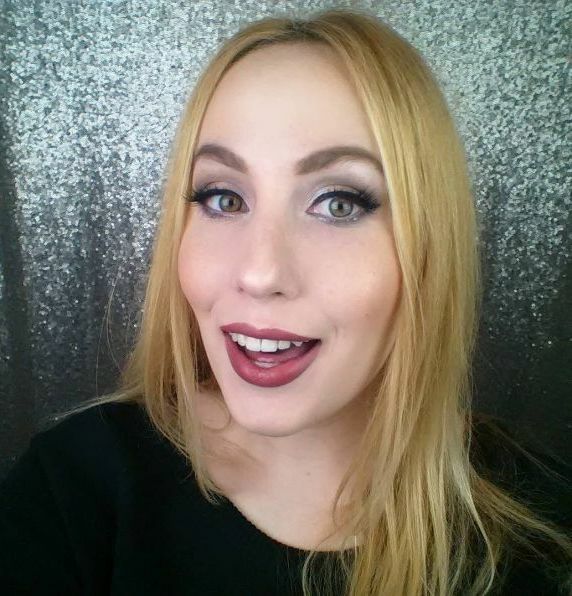 Don’t forget to share your looks on Revlon’s Facebook page, or on twitter @RevlonCanada, with the hashtag #revlonbymarchesa – I know I sure will! These products were sent to me for review purposes, by the company. All opinions are my own. Previous Post Happy Halloween 2013! 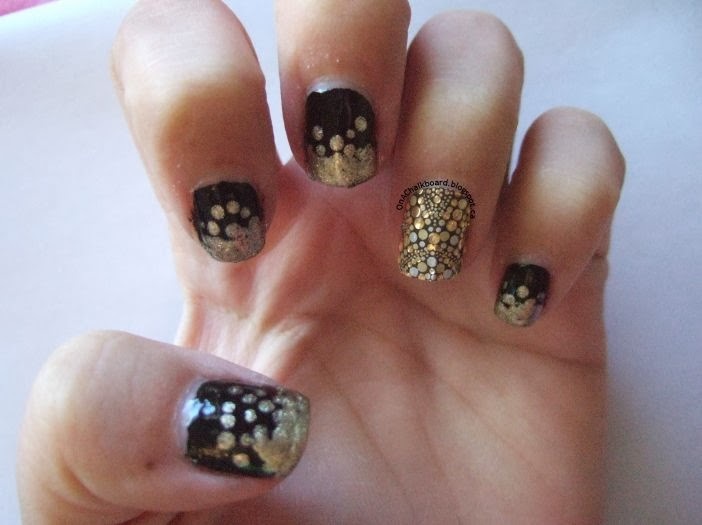 These look so elegant and beautiful! They really are quite stunning, but I'd expect nothing less from a designer like Marchesa.